The American Board of Integrative Medicine (ABOIM) recognizes Dr. Thompson as an exemplary advocate of its goal of helping patients by treating the root causes of health problems and not the symptoms. CLICK HERE to read the American Board of Physician Specialties article on Dr. Thompson and how patients benefit from integrative medicine. Dr. Thompson is an integrative and lifestyle family medicine physician who treats the root cause of health problems, not just the symptoms. She is a graduate of Lake Erie College of Osteopathic Medicine, where she studied the holistic approach to health care. As the former director of Great Lakes Institute of Technology massage therapy program, she began building her integrative knowledge in 1998. She has practiced integrative and lifestyle family medicine since completing her family medicine residency at UPMC Mercy Hospital Pittsburgh, Pennsylvania. In 2003, while training in a faith based hospital, she began learning the true meaning of mind, body, and spirit and how important it is in treating patients. Food is Medicine w/ Dr. Michelle L. Thompson, D.O. She is a dual board certified physician in both Osteopathic Family Medicine and Integrative Medicine, a former trustee for Pennsylvania Osteopathic Medical Association, and a committee member for Complimentary and Integrative Medicine since its development. She has studied with the Neuromuscular Therapy Center in St. Petersburg, Florida, and been an active clinical teacher for medical students, interns, and residents, passing along knowledge gained in her integrative career. Additionally, she is an associate medical professor for LECOM and PCOM, both osteopathic medical schools in Pennsylvania, faculty for University of Pittsburgh Medical School, and Chair of Family Medicine for UPMC Horizon. 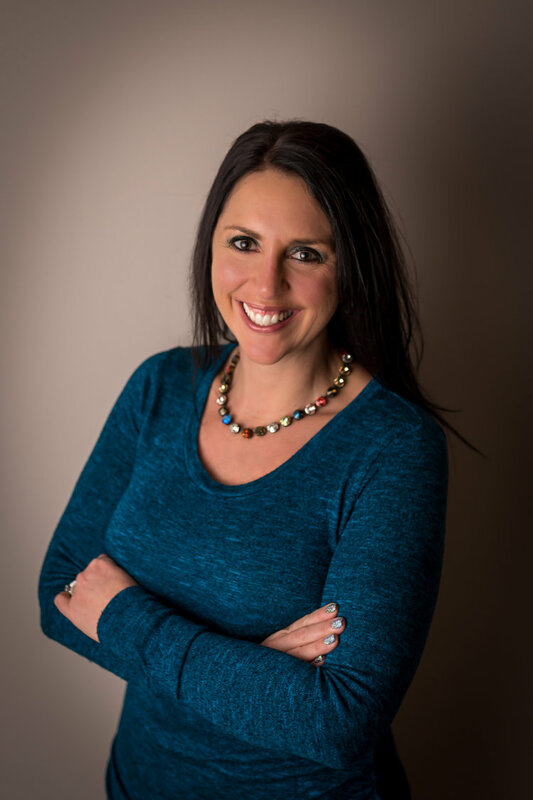 As a physician advisor for Nemacolin Woodlands Resort Holistic Healing Center in Farmington, Pennsylvania, she has built life changing wellness retreats for relaxation and disease reversal. She also serves on the “Speakeasy” staff for Wanderlust’s wellness program. Born and raised in the Shenango Valley, Dr. Thompson has developed a Free Healthy Living Series, where she lectures and provides experiential opportunities to anyone in the community seeking knowledge in integrative modalities. Her programs are eligible to receive credit toward insurance deductible by showing the participant has "taken a healthy step." She has taken her unique medicine approach out of the office to share in efforts to reach more people, designing programs with no financial, physical, age, or gender barriers. By collaborating with fellow practitioners, community members have experienced yoga with live acoustic guitar, aromatherapy, sound therapy with crystal singing bowls, flutes, gongs, didgeridoo, art therapy, reiki, tai chi, qigong, energy modalities, dancing mindfulness, breath work, guided imagery, kids yoga, meditation, nutrition, and lifestyle modalities all free of charge. She has been active in teaching the whole food plant based diet to people in her community, creating cooking programs with a local chef and dietician, for eating to reverse disease. By promoting "Doctors in the Kitchen-Food is Medicine," an approved continuing medical education event, she hopes her peers will implement the changes they learn into the way they practice medicine and will become models of health and healing for their patients. Currently, Dr. Thompson is employed by the University of Pittsburgh Medical Center and has a full-time integrative family medicine practice, seeing infants through the end of life using a natural approach to health care. Her specialty is reversing disease through diet, exercise, and lifestyle changes while empowering her patients to take charge of their health and work as a team with their physician. There are healing powers of proper nutrition in almost all disease processes, and she believes that eating for health can be pleasurable if we eat in a way that serves our body. As a physician, I am very mindful of the power of food and its place in prevention, longevity and disease reversal. It is hard to know where to start with healthy diet when faced with so many decisions at the grocery store. I am excited to offer “Shop with a Doc” to help you navigate the many choices that you have while shopping. Our goals are to: help you read food labels, learn how to make healthier decisions, help provide healthier options for meals and snacks, teaching meal prep, cost saving tips, beverage choices, smoothie ideas, organic vs non-organic, pre and probiotics, healthy gastrointestinal microbiome, sodium intake, canned vs frozen vs fresh, revamping your pantry and much more. Join Dr. Michelle Thompson and The Center for Sound Therapy for a lecture and sound bath meditation. Dr. Thompson will discuss the medical benefits of implementing a natural approach to medical problems explaining some of the health benefits of meditation and sound therapy. Some of the benefits of meditation and sound therapy can help improve mood disorders, anxiety, depression, PTSD, ADHD, cancer, insomnia, dementia, migraines, IBS, hypertension, heart disease, inflammatory conditions, fibromyalgia and chronic pain disorders. Age with Balance and Grace: Intro to Tai Chi, Qigong, and Yoga and how it can help with many medical problems like depression, anxiety, hypertension, osteoporosis, cancer, heart disease, along with many others. Learn about the foundations of the ancient practices of tai chi and qigong and participate in using flowing, fluid, slow-motion movements as a form of moving meditation. Experience how this life energy work can help with relaxation and improve strength and balance, all essential factors to aging with grace. Join us for an Interactive experience where you will participate in the preparation of healthy foods and learn how you can use food as your medicine. Food is the ultimate pharmacology. It has been extensively researched and supported by the highest quality evidence in the emerging field of nutrigenomics and culinary medicine. You will have the opportunity to sample many foods and see for yourself how nutritious foods can actually taste amazing. Dr Thompson will educate you and answer questions about adopting this lifestyle so you can take charge of your health one bite at a time. Be prepared for a fun-filled experience learning to reverse disease-with your fork as your primary tool! Healing the Healer while they Heal others. It is most important for physicians and care givers to take care of themselves before they take care of others. Quality of care and success increases when the health care leaders have all of the available tools on board and uses them in their own lives. Balance in life is important and often difficult to achieve. This program is an informative lecture on implementation of tips to help physicians and caregivers live a happier and healthier life enabling them to potentially provide a higher quality of care to their patients.